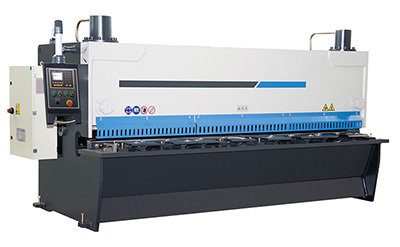 How to Select Sheet Metal Cutting Equipment? 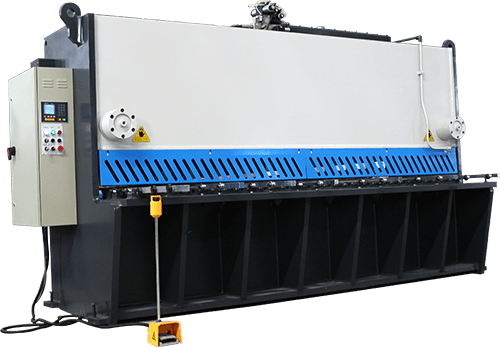 We have both hydraulic swing beam shear and guillotine shear for your selection. With the rapid development of sheet metal processing technology, the fabrication technology of China is also changing, and the gap between the foreign developed countries becomes small. Many well-known foreign companies are moving manufacturing base to China, at the same time, also brought many revolutionary ideas in sheet metal processing. 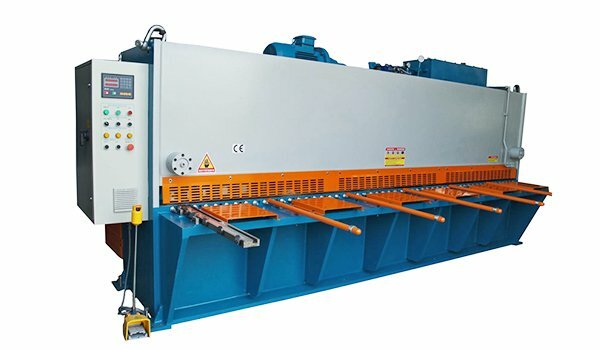 As a traditional sheet metal cutting equipment, there are mainly (numerical control and non-numerical control) shears, presses, flame cutting, plasma cutting, high-pressure water cutting, etc. These devices have a considerable share in the market, on one hand, they’re all well known, on the other hand, they’re cheap. 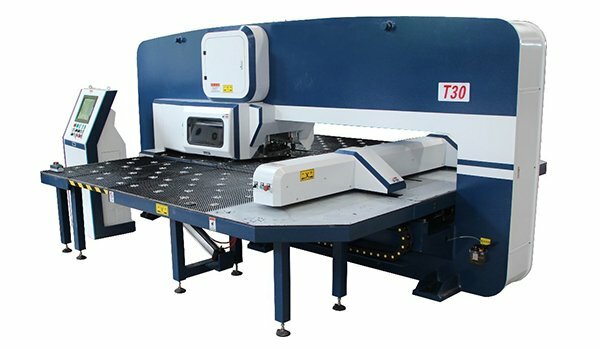 Although they have an obvious disadvantage compared to modern laser cutting technology, they also have their own unique advantages. 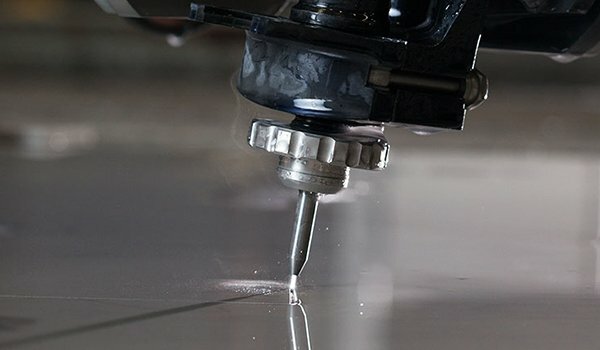 After reading below description for different sheet metal cutter, you will learn which metal cutting equipment you should choose before learn how to cut sheet metal. (NC) shears mainly count on straight line cutting, though it can cut as long as 4 meters, it can only be used in sheet metal processing which requires only straight cutting. Generally used in the industry which requires only straight line cutting after flattening. （NC/turret）punch press have more flexibility in curve machining, one punch can have one or more sets of a square, round, or other punch molds which have special requirements. It can be used for some specific sheet metal work. The most commonly used is the cabinet industry. 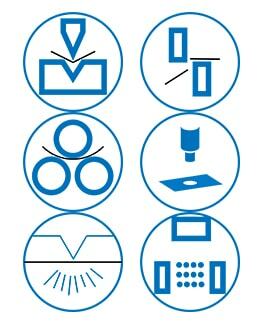 The required processing techniques are mainly straight lines cutting, square holes and round holes cutting. The patterns are relatively simple and fixed. They are mainly used on carbon plate with a thickness less than 2mm, the cutting area generally in the range of 2.5m x 1.25m. The stainless steel more than 1.5mm thickness consumes mold too much due to the large viscosity, generally do not use the punch press. Its advantage is fast fabricating speed for simple graphics and plate, the disadvantage is the limit ability in punch thick steel plate. Even can punch the surface will have a collapse. Besides, it consumes mold and has a long mold development cycle, cost high, and low flexible. In abroad, steel plate cutting with steel more than 2 mm generally use modern laser cutting, instead of using punch press. One reason is that the surface quality is not high for thick plate punching and shearing, the other reason is that it needs larger tonnage to punch thick plate. It’s a waste of resources. Besides, there’s too much noise which is not conducive to environmental protection. As the original traditional way of cutting, because of its low investment, low requirement for the cutting quality (one more machining process can solve the quality problem), flame cutting still have a very large market. Now it is mainly used to cut thick steel plates more than 40mm. Its disadvantage is that the thermal deformation is too large, the slot is too wide, waste too much steel, and the processing speed is too slow, which is only suitable for rough fabrication. Plasma cutting and fine plasma cutting are similar to flame cutting, both of them have too big heat affected zone, however, the precision is much better than the flame cutting, and the speed also increased a lot, which make plasma cutting become the main force of the medium plate processing. The actual upper limit cutting precision of the fine CNC plasma cutting machine has reached the lower limit of laser cutting when cutting 22 mm carbon steel sheet, the speed can reach more than 2 meters per minute, the cutting face is smooth, and the best inclination can be controlled within 1.5 degrees. The disadvantage is that thermal deformation is too large when cutting thin plate. Besides, the inclination is bigger also. It’s helplessness when the cutting has high precision requirements. The consumables are also very expensive. 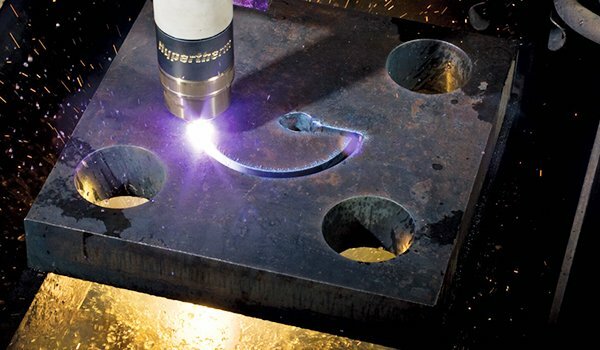 High-pressure water cutting is using high-speed water jet mixing carborundum to cut sheet metal. It has almost no restriction on the material, and the thickness of cutting almost can reach 100mm. It can not only cut easy burst material when adopting thermal cutting such as ceramic and glass, but also high reflective material for lasers such as copper and aluminum. However, for laser cutting, there are major obstacles. The disadvantage is that the processing speed is too slow, too dirty, not environmental protection, also too many consumables. Laser cutting is a revolution of sheet metal processing, which is the processing center of sheet metal fabrication. Laser cutting has high flexibility, fast cutting speed, high production efficiency and short production cycle, which has won wide market for customers. The laser cutting has no cutting force and no deformation. Whether it is simple or complex parts, it can be cut by laser with fast speed and good precision. It has a narrow slit, good cutting quality, high automation, easy operation, low labor intensity and no pollution. The automatic cutting and nesting of cutting can be realized, the material utilization rate is improved, the production cost is low, the economic benefit is good. The effective life of this technology is long, and currently in abroad for the plates with more than 2 mm thickness are cut by laser. 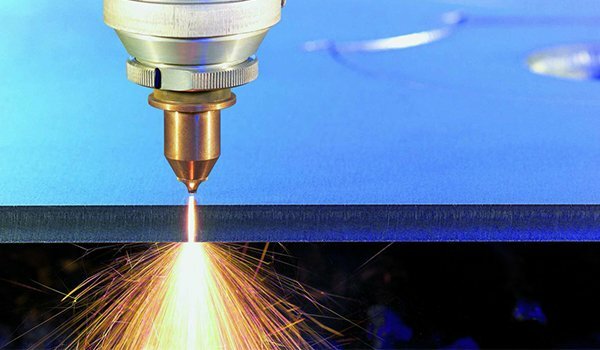 Many foreign experts agree that the next 30 to 40 years will be the golden age of the development of laser processing technology (the direction of sheet metal processing). Generally speaking, it is recommended that the carbon steel plate within 20mm, stainless steel plate within 10mm, and non-metallic materials such as acrylic and planks are recommended to use laser cutting. 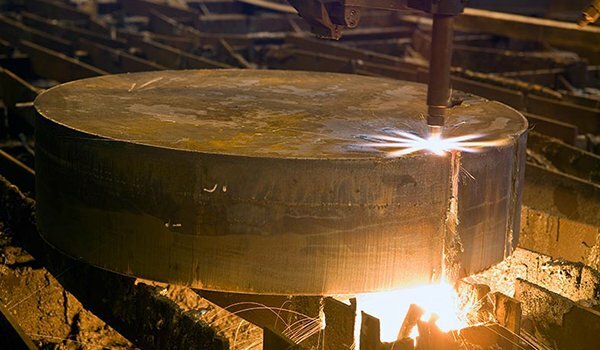 The steel plates within 20 to 50mm are recommended to use plasma cutting. And flame cutting is recommended for steel plates above 50mm. Cutting with water knife when processing copper, aluminum and other fragile non-metallic materials such as glass and marble, etc.